The author admires Allama Mashriqi for his thoughts and efforts that he rendered for Muslims in India and Pakistan, especially his views about Mullahs on Islam. In this paper, Allama Mashriqi political view critically evaluated and analyzed. The following critical evaluation reveals that he believed in authoritarianism. In his speeches, he promoted the impractical and utopian idea of ‘one nation-one leader’ in which he stressed that people should obey orders of the leader without making any criticism. He demanded complete compliance of followers to his leader. He uses an example of offering prayers behind the Imam in a mosque to support his argument. He ignores the fact that Muslims just offer a part of the prayer behind the Imam and the rest of the prayer they offer independently. This depicts that Islam also respects individualism and independence of individuals. In the context of leadership obedience, he asserts that Germany was defeated in the Second World War because of less obedience to their leader compared to the English people. His conclusion is wrong as German faced defeat in the war due to many other factors than the disobedience to the leader. One of the factors that Germans had lost the war that they opened many war-fronts simultaneously during the war. Obedience of the leader has nothing to do with their defeat. 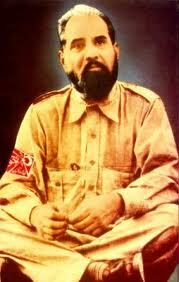 Allama Mashriqi has failed to take into consideration what will happen if a dictator abuses his power. Pakistan and other developing countries’ leaders enjoy unfettered power but still could not progress. The history of politics depicts that generally unfettered power is injurious to a nation. A nation cannot develop without proper accountability of the leaders. He ignores the fact that state- building takes place when nations follow their respective systems and not only the leaders. He used an example of Britain to show the reasons of her development. He does not appreciate that the United Kingdom became the supreme power of the world before the Second World War because she adopted democratic form of the government. When they had ‘one man show’, they were not a great power of the world. Similarly, developed nations raised their power because they respected their respective system and not the leader. A leader can be challenged in all developed systems. One of the reasons of the developed world is that they involved people in the affairs of the government through the system of elections and referendums. The history of nations shows that liberalism instead of conservatism is the reason of progress. State building takes place when people have a freedom of speech and mechanisms of accountability across the board, including leaders. Blind obedience to political or/and religious leader(s) can fall apart nation into pieces. He represented Islam as a political system of dictatorship, which is also untrue. Islam does not give any specific mode of governance except that leaders would be held responsible for the betterment of their subject. He ignored the key fact that even prophet Muhammad overruled the majority’s suggestion only once in his life. The first speech of the first Caliph Abu Bakar is a revelation to those who promotes unconstrained supremacy of the leader. Caliph Abu Baker said in his speech to Muslims that they follow him till the time he would follow the principles of Islam – meaning system and not an individual. Islam does not oppose democracy in favor of authoritarianisms. The ruler can only use his discretion under dire circumstances, as it can also happen in today’s democracy. Like all other Muslim scholars and Mullahs, he criticized the western concept of democracy, but failed to give appropriate alternative form of government. His theory that scientists have a right to rule is also not very impressive and carries many flaws. First, he did not define as to how a scientist should be defined. In the hindsight, he considers, only those who study natural sciences are scientists (as he studied mathematics). Second, He did not throw a light how a ruler must be selected among scientists. Third, he has taken a very narrow view of the concept of intelligence when he claimed that scientists have more intelligence than other people. It seems that he did not pay much attention to contemporary theory of intelligence that contended on the definition of intelligence. Any basic book on psychology can provide substantial information on the concept of intelligence and how contemporary psychologists view it. The contemporary research in business and organizational studies shows that ‘generalists’ are better leaders than ‘specialists’. Fourth, a good scientist does not necessarily be a good human being or a leader. Running a state requires the art of statesmanship and not knowledge on natural phenomena. His theory of leadership is similar to Plato’s who argues that only those who have proved their metal abilities and have emerged from all tests with the insignia of skill shall be eligible to rule (Durant 1961). Fourth, He did not support with any empirical data that scientists are less racist or more tolerant to other religion. His theory is merely untested assertions. The analysis of today’s world politics shows Allama Mashriqi campaign for strengthening militarily is also not very valid. There are no guarantees that militarily strong nations will automatically progress on the path of state-building. For example, Pakistan is now accepted nuclear power but she has not improved its image or has a significant share in international politics. It merely turned into a security state than a welfare state. On the contrary, militarily weaker nations can gain respect provided they follow the right path in which people’s welfare is deemed important. Japan, Germany, Singapore, Denmark, Norway, Sweden are a few of examples whose economic development has played a significant role in improving their position in the world politics. They are indeed not strong militarily as the USA but still the USA cannot reject their views. Moreover, the history shows that America being a strong country could not win Vietnam’s war. Similarly, Kashmiris and Palestinians could not get liberation till today though they have been fighting for decades with India and Israel, respectively. They might have achieved their goals if they would have concentrated more on getting education and developing their respective nations instead of staging only physical aggression. The above evaluation shows that his political approach was not very different from the contemporary Mullahs. They also demand unfettered power for leaders and despise democracy and bureaucracy. Democracy and bureaucracy are not opposed to Islam if underlying values and spirit are followed; it failed in developing country because the leaders wanted unopposed power.